Have you ever regretted having your sports court installed in the wrong place?! You feel like it would be much better if it were on a spot a few meters to the right but now it is too late? That’s about to change. 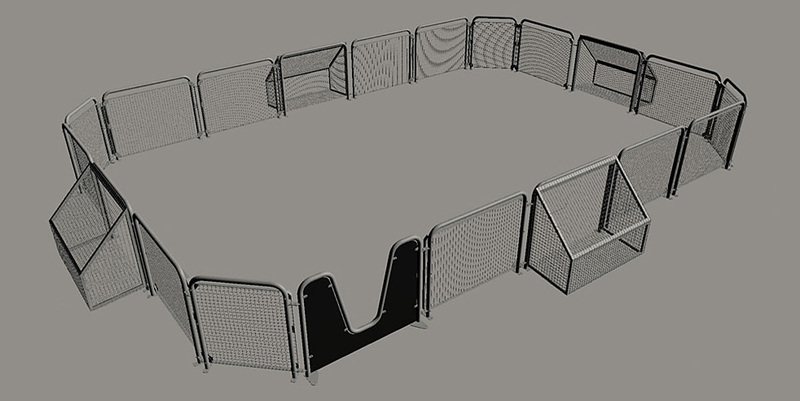 Sportvest has this great product called “Junior Multi Arena” which is basically a series of modulars fences that lets you assemble several different arenas configurations. 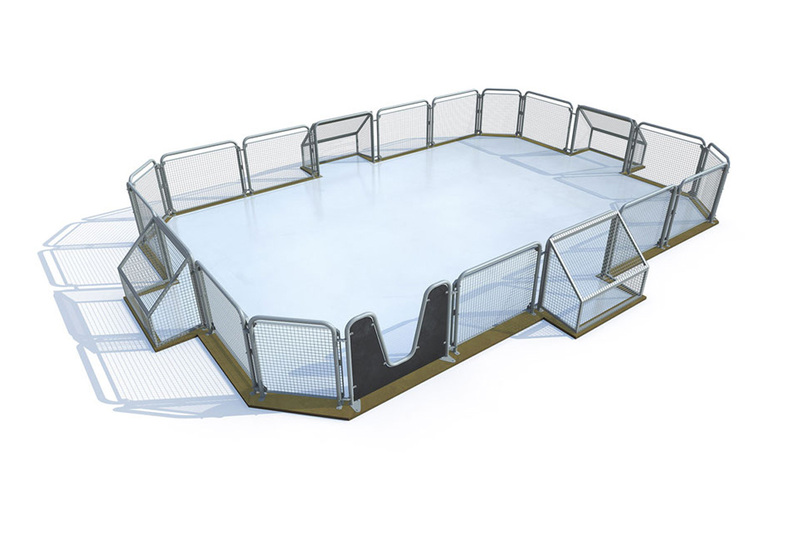 On top of that, it that gives the customer the ability to move the arena around as you will. 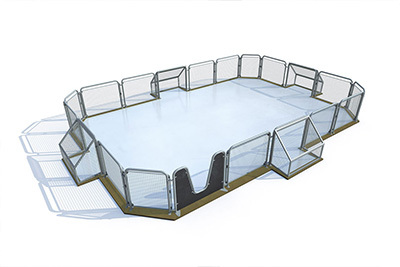 If you need to disassemble the modules and store it somewhere else, protected from the cold of the severe winter for an instance, you can easily do that. You are no longer forever grounded to the place where you first install them. You can move them around! Yes, they are pinned to the ground by a series of removable pins. Isn’t that great?! This how we got to meet Eldar meek, Sportvest’s manager. 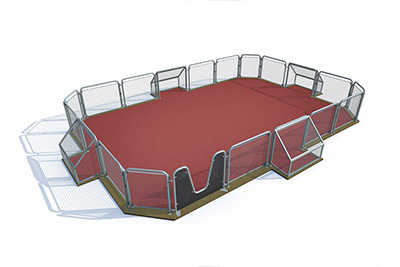 They wanted a 3d illustration of one of their arenas configurations for their brochures and we gladly accepted the challenge. 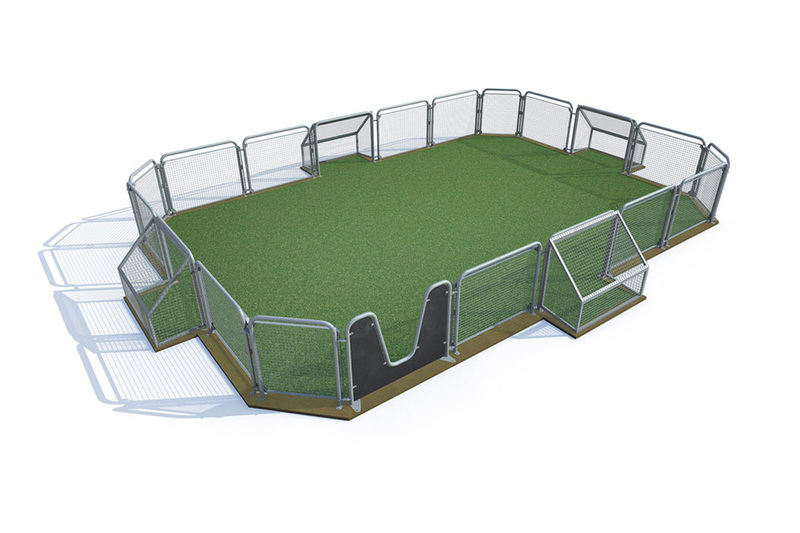 With all the modules ready, we assembled the big Junior Multi Arena (JMA), which had 10,6m x 7m. We also positioned the camera in a way that we could see not only the modules but also the floor of the arena itself, since Sportvest offers three different “flavours” for it. First thing to do, is understanding the product. Eldar provided us plenty of material. 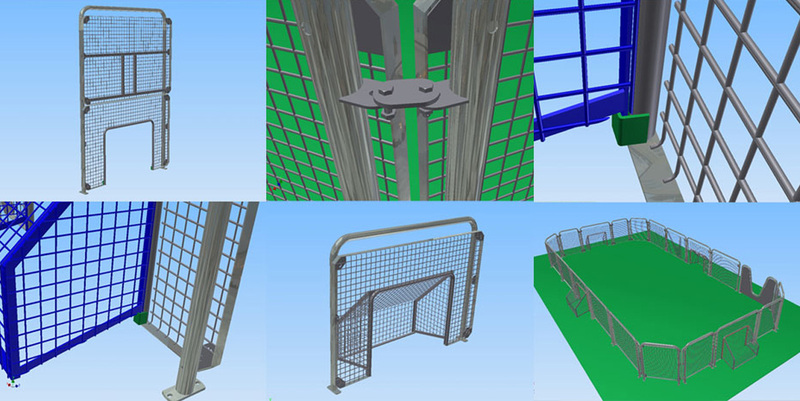 CAD drawings, rough renders, blueprints, everything we needed. We could now start the modelling stage. 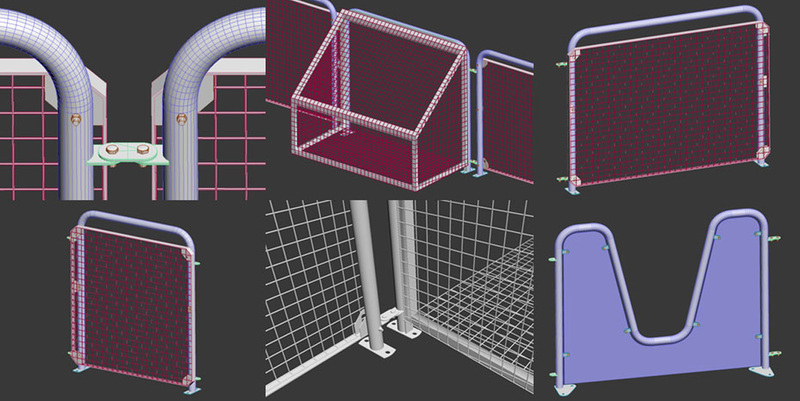 Based on the material we started building the modelling and due to the enormous amount of specifications, we were able to model everything, down to the tiniest screw of the modules. Model ready, some shading tests. Time to experiment and replicate the way the materials behaves to light. 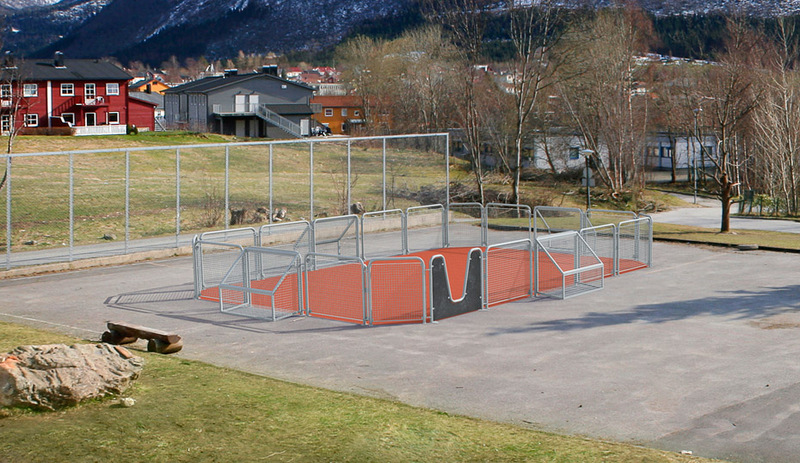 We could now position the camera in 3D, render it, clean and retouch the photo eliminating the volleyball nets and light poles from the picture, add the 3D passes on top and post produce it all together.